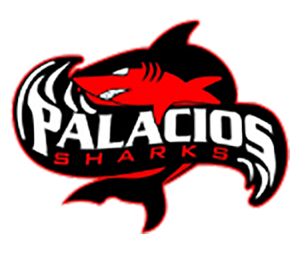 The Palacios Sharks hosted Brazosport last night in a district varsity matchup. The game was a great contest against 2 teams that both wanted a win. Sharks got the scoring started very early with goal by Eduardo Nunez. Shortly after that goal miscommunication between the Shark goalie and 2 defenders let in an equalizing goal. With not a lot of time left in 1st half and a heavy fog rolling in Brazosport got another goal to go up 2-1. Roughly 10 minutes into the 2nd half, the Sharks had a throwin on the Brazosport sideline. Elias Padron threw in the ball to Jose Velasquez who took it into the corner and played a beautiful cross that landed at the right foot of Eduardo Nunez for his second goal. Unfortunately it would not be enough because with around 15 minutes left in the game Brazosport were able to go up 3-2 off of header on a set piece.